Responsive Design, What it is and why you need it! So I’ve mentioned it briefly before, but what exactly is responsive design? Well simply put, it’s a way of getting your website to display sensibly on every device. So while a wide page with lots of text would display perfectly on your laptop or desktop computer, when brought up on your phone, you’d constantly be pinch zooming, and swiping around the page to read the text which initially was too tiny to read. Responsive design takes the data, the text, images, etc, and formats it in a sensible manner for the device being used. However it does slightly more than this. In the early days of mobile internet (and still sometimes to this day) you’d see a link at the top of the page you were viewing on your phone or tablet, “view the mobile version of this site”, and you’d click through and suddenly everything would be simplified for the smaller screen on your device. However, this required a lot of work, since the operator of the website, now had twice as much work to do, maintaining the normal version and the mobile version of each and every page on the site. 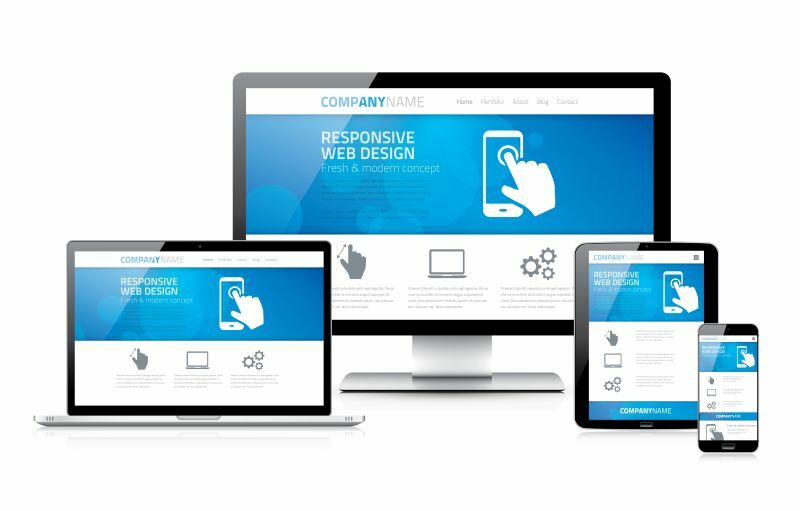 What responsive design does is remove the needs for different designs of pages for different devices, responding to these “responsively” and automatically serving each device with the version it needs to work best. Responsive design gives each user the best looking version of your site to each user based on their device, and provides them with the best user experience for their device too, which leads to increased usability, and leading to users staying on your site for longer. For this reason, we use WordPress, and ensure that responsive templates are used to make sure our work, and our clients websites are shown off to their best. If you’ve got any questions, ask through Twitter, Facebook or the comments section below and we’ll do our best to answer.